the strong, decisive and industrial look. 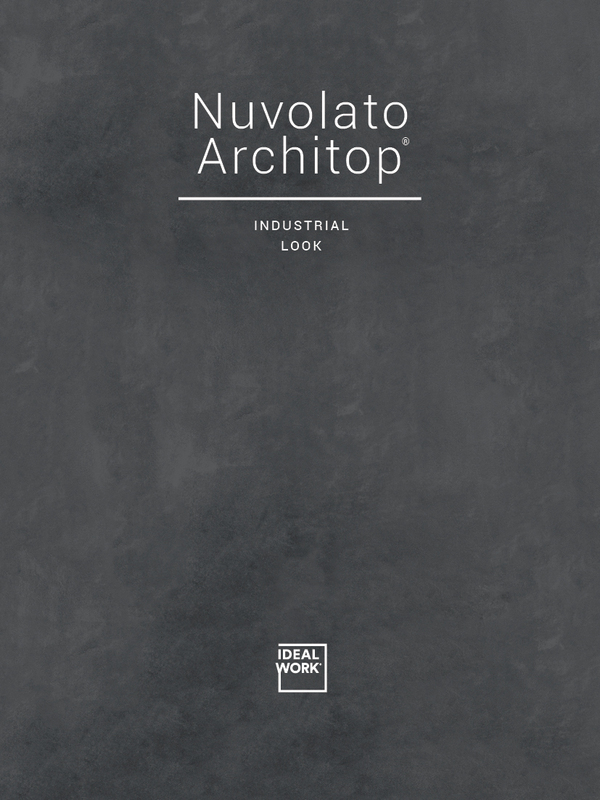 Nuvolato Architop is a blend of cement and other ingredients which, with an applied depth of just 3-4 mm, allows you to overcome the thickness and weight limits of traditional (smooth/sleek) concrete, whilst maintaining its beauty and robustness. This is possible yet still allows care and attention to detail, creating a high aesthetic value in a range of colour options. 1 - I would like a uniform effect without clouds, is that possible? It is not possible to obtain a completely uniform effect since Nuvolato floors are not varnished or made in casting and therefore there will always have variations. It is up to the ability and dexterity of the installer to increase or diminish the effect. 2 - How is the flooring coloured? The colour comes from the Colour Hardener product which is available in a wide variety of colours which is incorporated in the fresh concrete, making the colour integral and throughout the mix. This is not a varnish or resin spread on the floor surface. 3 - I have underfloor heating: can I create a Nuvolato floor? Absolutely, yes. 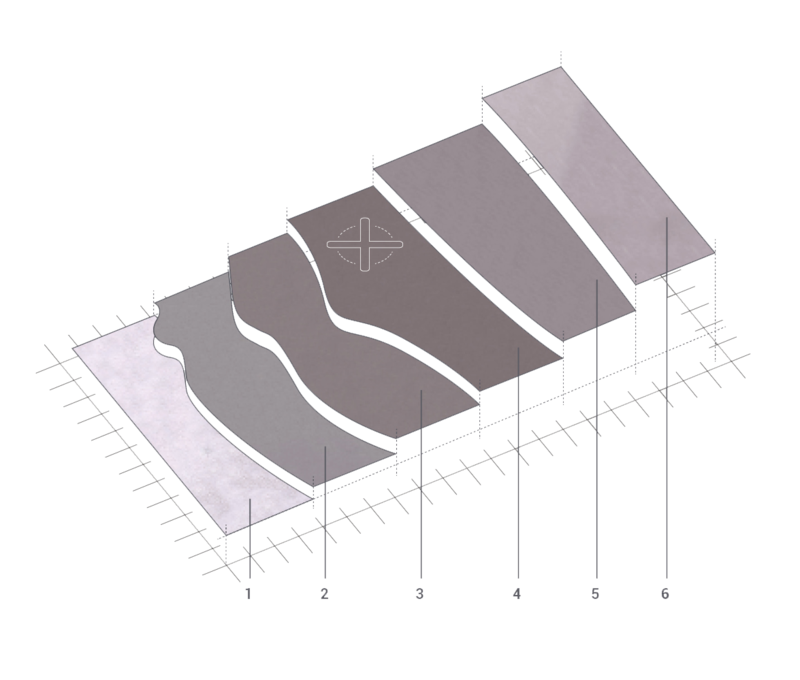 It will be necessary to carefully assess the thickness available for creating the floor in order to choose the most suitable technical solution: concrete, Betontop, Microtopping. Moreover, Nuvolato floors created in concrete or Betontop give better results in terms of heat conduction compared to other flooring systems (see comparable table). 4 - Is it necessary to create crack control joints by cutting the flooring? 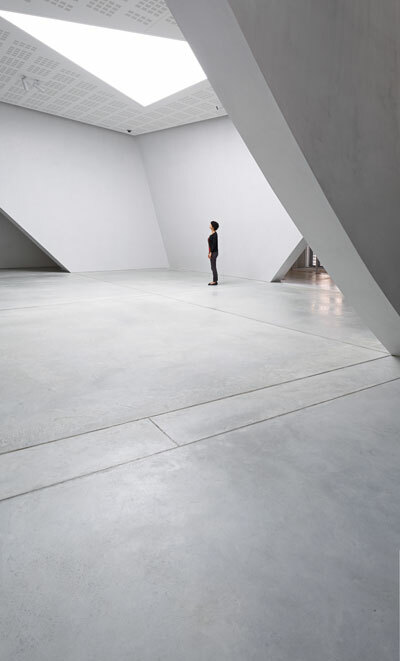 As with all types of concrete flooring, Nuvolato floors require joints. Cutting acts to encourage and allowing the natural contractions of the concrete and create expansion joints in a controlled manner. It is the task of the Ideal Work installer to define the design and arrangement of the cuts. Once complete, the joints can be filled with special coloured resins that can be the same colour as the floor. 5 - Can cracks appear over time? With continuous surfaces made in concrete or similar products, it is possible that cracking can appear due to the contraction of the concrete. The company responsible for the installation undertakes, in any event, to adopt all the strategies necessary to limit the appearance of cracks. These can, however, appear for reasons other than the workmanship including the settlement of the structure. In the event cracks appear, it is possible to take action, repairing the cracks with specific products designed to conceal them, obtaining a pleasing aesthetic result. 6 - How can a Nuvolato floor be kept clean? Cleaning a Nuvolato floor is very simple. A damp cloth is sufficient to clean the surfaces with the addition of a little neutral detergent for floors (for example PERFETTO! Ideal Work: a specific detergent for decorative Ideal Work surfaces). It is recommended to periodically treat the slab with protective products based on self-polishing waxes dispersed in water (for example, Ideal Cera) or beeswax (for example EASY WAX). Detergents based on soap, acid, ammonia, chlorine or any abrasive detergent products are absolutely prohibited. It is recommended to use only NON AGGRESSIVE, neutral PH detergents. 7 - If oil, water or other liquids are spilled, will they stain the floor? Ideal Work offers a wide range of protection. The appropriate protection must be chosen depending on the requirements of the end customer. In principle, even if the surface treatment effectively protects the flooring from rapid penetration of accidentally spilled liquids, it is well to remember that all liquid substances, especially those most used in the domestic environment such as wine, oils, vinegar and coffee, must be eliminated quickly from all the surfaces before they can penetrate to any depth. 8 - How thick does Nuvolato flooring have to be? The thickness of the floor depends on the traffic and the type of loads that the floor must support. Based on this information, the thickness and type of concrete to be used will be established. As a guide, the thicknesses used in normal conditions are the following: 7-10 cm, exterior or interior residential pedestrian only areas, 13-15 cm, light vehicle traffic areas (cars), 18-20 cm, medium-to-heavy vehicular traffic (cars-lorries). In the case of lower thicknesses (between 5-6 cm), rather than creating a support in concrete, it would be wise to use BETONTOP, a special multifunctional additive suitable for creating supports with specifications similar to concrete, but suitable for low thicknesses. These values are entirely indicative and should be used as such. It is the job of the designer to establish the thickness and resistance of the concrete based on the anticipated loads (even occasional). It will, in any event, be the task of your Ideal Work installer to advise and assist you in the choice of the most suitable flooring for your requirements. 9 - Are these surfaces resistant to walking, impacts and car and heavy vehicle traffic? Absolutely, yes. As monolithic concrete flooring, they are extremely resistant to walking, impact and vehicular traffic. 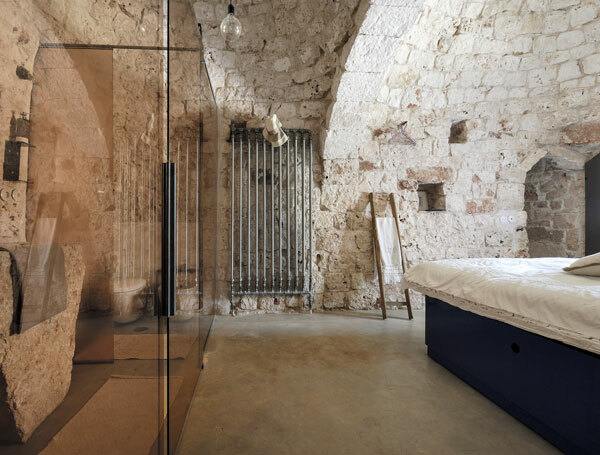 The colours are integral and, as such, part of the slab itself and have maximum resistance to fading, scratches, stripping or cracking and are as resistant as the concrete. 10 - What is the difference between Acid Stain and Nuvolato? Technically, a Nuvolato floor made with the hardener Ideal Floor Pewter (light grey based titanium aggregates) is the base surface for later acid stain treatment with Ideal Stain acid dyes. It can considered,therefore, that the Nuvolato flooring is the starting point for Acid Stain flooring. Structurally, they do not change: assessment of the thickness, resistance to abrasion and compression, protective and maintenance treatments are practically the same. The difference is aesthetic: the colours and the effects are completely different. The Nuvolato floors feature pastel colours, greys and whites; the texture of the finish is softer and tends to be more uniform compared to an Acid Stain floor, which is notable for the greater intensity of colours, unique textures and variegations that are similar to those of leather. 11 - Can a Nuvolato flooring be placed on top of an existing floor? Generally, yes: Nuvolato flooring can also be created on an existing screed. In these cases, it will be important to assess the quality and type of screed on which the new flooring will be glued. Based on the thickness available, Ideal Work offers various technical solutions: MICROTOPPING, suitable for application on thicknesses of 3-4 mm; TOPFLOOR, specifically developed for creating flooring with a thickness of 1-2 cm and BETONTOP, suitable for thicknesses between 2 and 6 cm. It will, in any event, be the task of your Ideal Work installer to advise and assist you in the choice of the most suitable flooring for your requirements. 12 - Can Nuvolato Flooring also be created outside? Absolutely, yes. In the case of exterior applications, it will be fundamental to assess, together with the installer, the finish of the flooring which must be slip-resistant, as well as the most suitable protective treatment. The effect obtained is that of a continuous, jointless surface that meets the flooring demands of not only modern minimalist dwellings, but also industrial-style lofts, public areas, exhibitions, and commercial spaces. No need for removal of the existing slab, ideal for renovations. 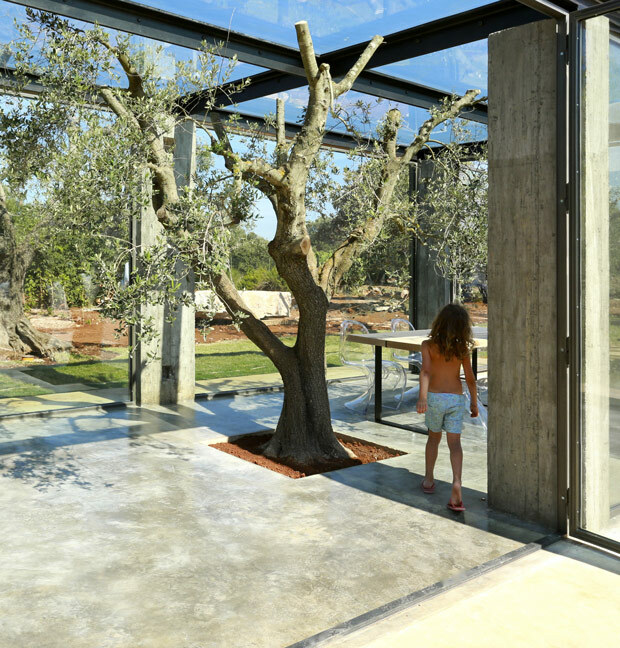 Nuvolato Architop can be used both internally and externally and can be applied to any solid, prepared substrate, even when underfloor heating is present. It is ideal for renovating existing floors made of concrete, ceramic, marble or sand-cement screeds without removal of the old surface. Due to its high strength and adhesive properties, Nuvolato Architop is also recommended for the restoration of large industrial and commercial floors or indeed any flatwork area subjected to high traffic. 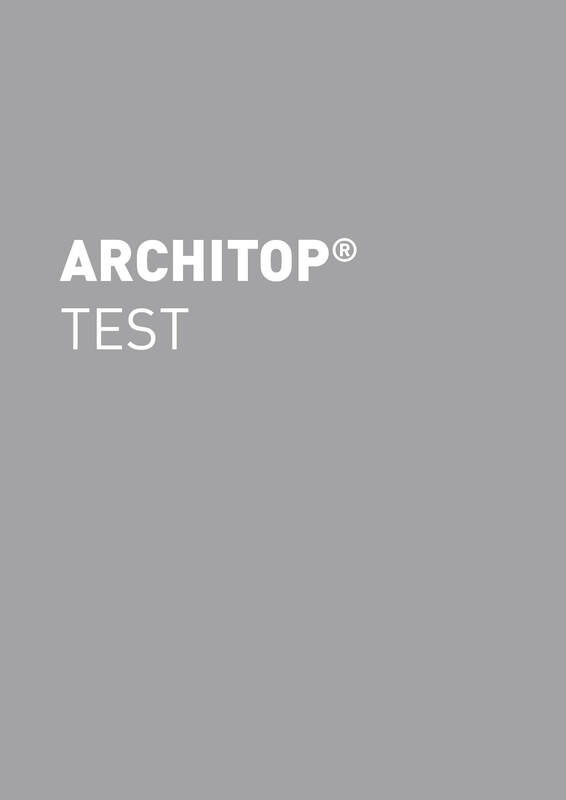 Nuvolato Architop® is particularly suitable for external use as it provides excellent resistance to chemical and atmospheric agents, abrasion, cracking and frost. The concept of Nuvolato Architop® allows the client great flexibility in aesthetic and design options: it is supplied in a range of 29 standard colours which, combined with the characteristic cloud effect (dynamic nuances) typical of aged concrete, provides an almost endless range of finishes. The level of homogeneous or cloudy effect of the finish is created in collaboration with the designer. Like solid concrete, it can be treated with coloured chemical stains to obtain even more original and exclusive paving finishes. Do you have any requests or queries? Do you want more information about our products and services? Do you wish to become an Ideal Work partner or simply contact the company?